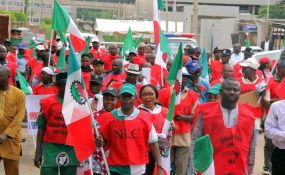 Minister of Labour and Productivity, Dr Chris Ngige, has said that the federal government and governors of the 36 states of the federation have agreed to meet with the Council of State to resolve the crisis over the proposed new National Minimum Wage for workers in Nigeria. Council of State which is chaired by President Muhammadu Buhari, with Vice President Yemi Osinbajo as vice chairman, is comprised of all state governors, all former heads of states and presidents, Secretary to the Government of the Federation (SGF), all former Chief Justices of Nigeria (CJN), President of the Senate and the Speaker of the House of Representatives. The meeting is expected to hold at the presidential villa before January 23, a time set by the federal government to transmit a draft Bill on the proposed new National Minimum Wage to the National Assembly. yesterday's meeting discussed the matter but agreed to meet members of Council of State for a unified position. President Buhari recently inaugurated an advisory technical committee for the implementation of the proposed N30,000 new minimum wage. The committee which has one month to submit its report is to advice the federal government on new sources of funds and ways to implement the proposed new minimum wage in a sustainable manner. The advisory committee is headed by Nigeria's renowned businessman, Bismarck Rewane. According to Ngige, NEC did not take any definite resolution on the minimum wage issues until it meets the council of state. He said "Well there is no outcome as such, it's a work in progress, the information minister told you the other day after the Federal Executive Council that we are taking our deliberations to the National Economic Council and then we close up on the 22nd at the National Council of State after that we will be able to say where we are going." Read the original article on Leadership. Copyright © 2019 Leadership. All rights reserved. Distributed by AllAfrica Global Media (allAfrica.com). To contact the copyright holder directly for corrections — or for permission to republish or make other authorized use of this material, click here.